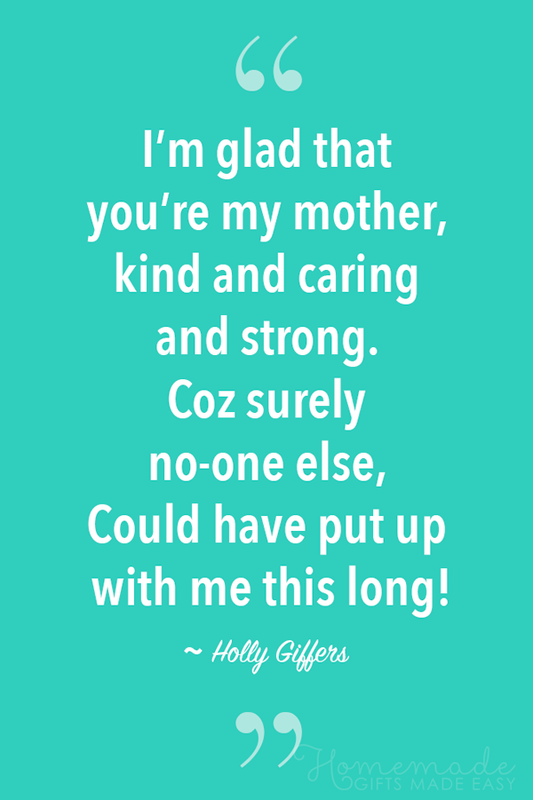 The best Mother's Day poems to help you tell your mom how much you love her this Mother's Day! 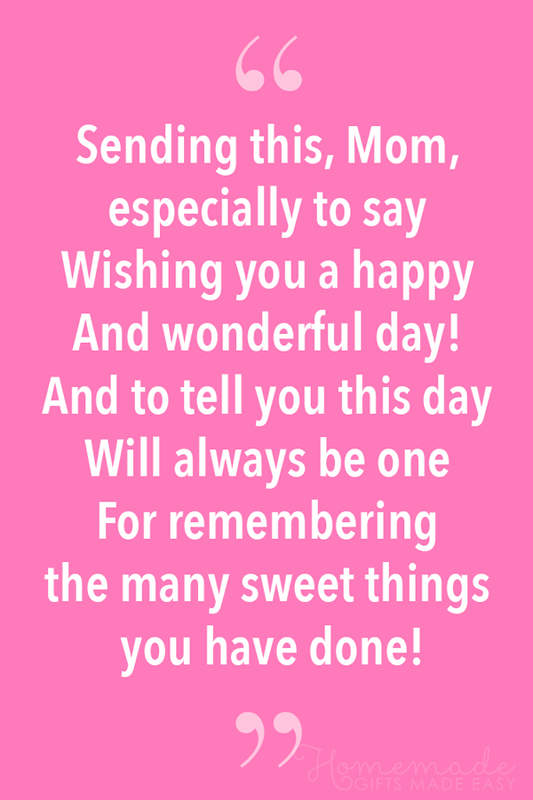 Whether you want a poem that is sweet or funny, short or long, you'll find a sweet Mother's Day poem for your Mom here. Just scroll down the page to see all the poems, or click a link below to jump to a section. From infancy, throughout childhood, and into adulthood, a mother's love is steadfast and true. These poems on mother's love try to express how powerful and special that love is. 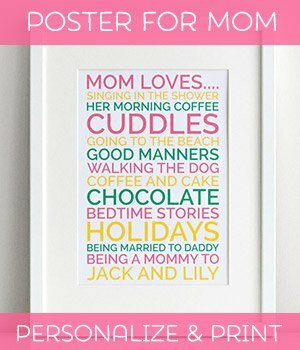 A collection of short Mother's Day poems, perfect for writing in a greeting card message to wish your mom a Happy Mother's Day. There is something very special about the relationship between mothers and daughters. 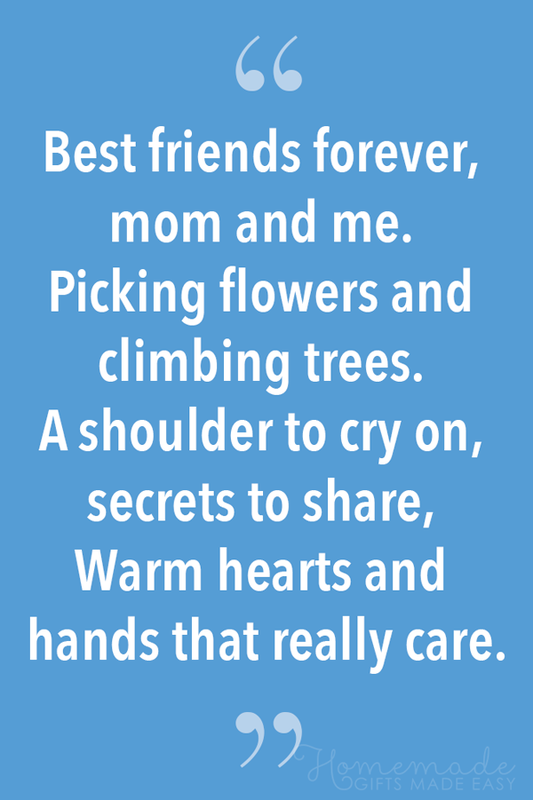 These Mother's Day poems capture the beauty of that precious friendship, and are perfect for a daughter to write in a greeting card message to her mom. Best friends forever, mom and me. It's a special bond that spans the years. Are written on the heart. A collection of sweet poems on mothers that are written from a child's perspective, or about childhood and growing up. 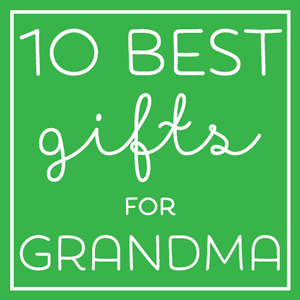 They would work well written in a card message to wish your mom a great day and thank her for all she does for you! 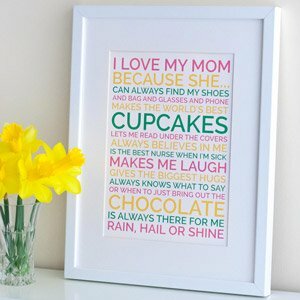 This little Mother's Day poem is very sweet and is meant to accompany a finger-painting of flowers made by a small child for their mother. This short Mother's Day poem works well accompanied with a gift of tea and biscuits for your mom. To be extra sweet on Mother's day. Please relax and have a cup of tea! 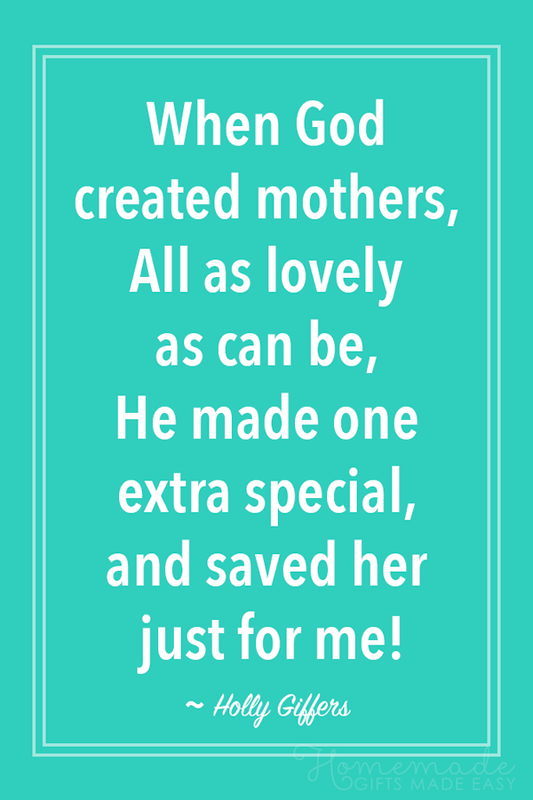 Some funny poems on mothers and motherhood that highlight the funnier aspects of being a mom. Ed: Because the cat needs to express it's feelings too, right? And this is the funny Mother's Day poem the cat would write if only it could figure out how to hold that crayon properly. 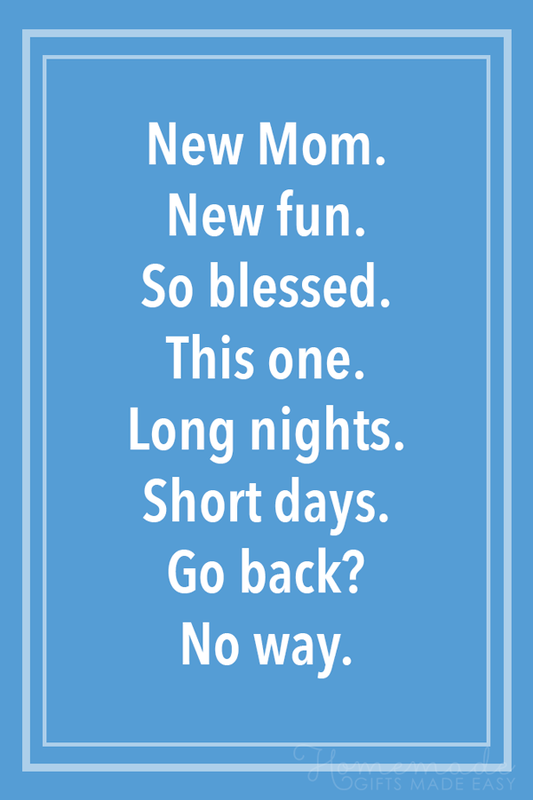 This first Mothers Day poem is a funny little poem for a new mom to encourage her in the early days of motherhood. This next poem is meant to be accompanied by the handprint of a small child, perhaps on a card or canvas that Mom can mount on the wall. It's would be a very sweet gift from a new baby to their Mommy (with the help of Daddy of course!). These next beautiful first Mothers Day poems capture the essence of motherhood, and are a lovely way to remind a new mom of how important and valued her role is in the family. 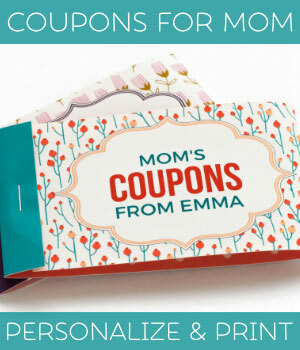 Here are some wonderful printable Happy Mother's Day gift ideas for you to help make your mom feel extra special this Mother's Day.